On Saturday, August 1, Rivergods’ violinist Dana Takaki will be celebrating a milestone birthday (we’ll let you ask her which one…) with a big musical party atCaptain Scott’s Lobster Dock in New London! 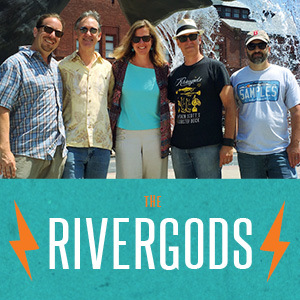 The Rivergods will be kicking things off at 2pm with a solid hour-or-so set, followed by some of Dana’s other distinguished musical partners: Hugh Birdsall (Dogbite), Ear Candy for the Soul, Rachel and Zac, and Old Dog New Trick. Should be a great time… come out for some great food and music. Let’s see how long Dana can keep that bow bowing…. As a preview to Dana’s birthday bash, Ben, Hugh and Dana will do a short Lunch Break Live set for The Day Thursday, July 30 at Hygienic Art Park at noon. Free show, and there’s food and beverages available for purchase at the Park. Read more about here, and if you can’t join us in person, check it out online at theday.com. 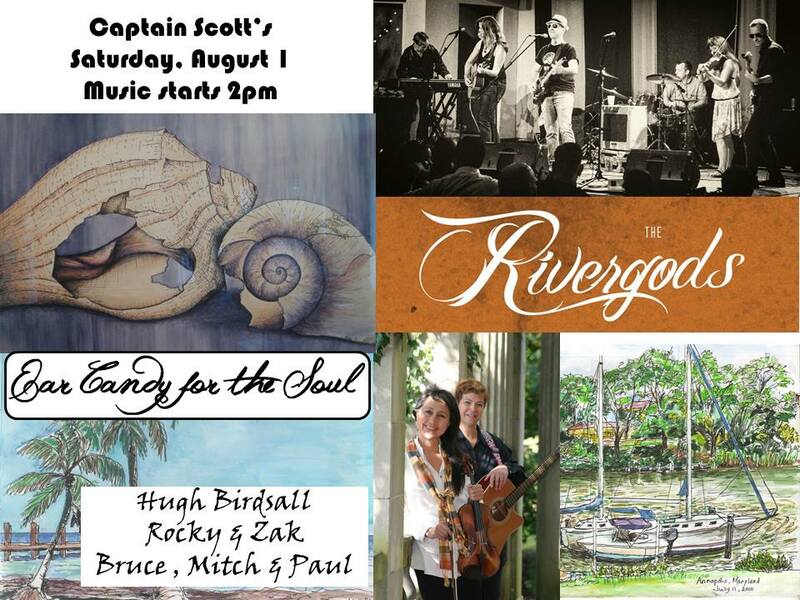 Lots of other big and small shows on the horizon for August, too, some farmer’s market acoustic duos/trios, our debut at the Hamburg Fair in Lyme, CT and our annual Ocean Beach show, too. (Whew!) Check out the deets on our shows page.